Continental Drifts was started in 1996 by friends with a shared passion for events. Those same friends run the company today from our barge on the river Lea. A unique company with expertise in all aspects of events. Our team of industry specialists work across event management, licensing, health and safety, experiential brand activation, artist booking and programming. With a multiple award winning production team, we take pride and dedication in offering a 360 production service. Today we are preferred suppliers for the LLDC, GLA, Lewisham, Hackney and Southwark Council. We have organised hundreds of festival events in London including Vaisakhi/ Diwali/ Africa Day for the GLA, Lewisham Peoples Day, Carnaval del Pueblo, Bermondsey Carnival, LLDC Great get Together, Hackney Carnival and many more! Our impressive roster of Commercial Festivals include Lollibop, We Are FSTVL, OnBlackheath Festival, Alice in Winterland, Grinagog! To date we produce stages at Glastonbury Shangri La, Wilderness, Lovebox, Boomtown, Shambala and more! 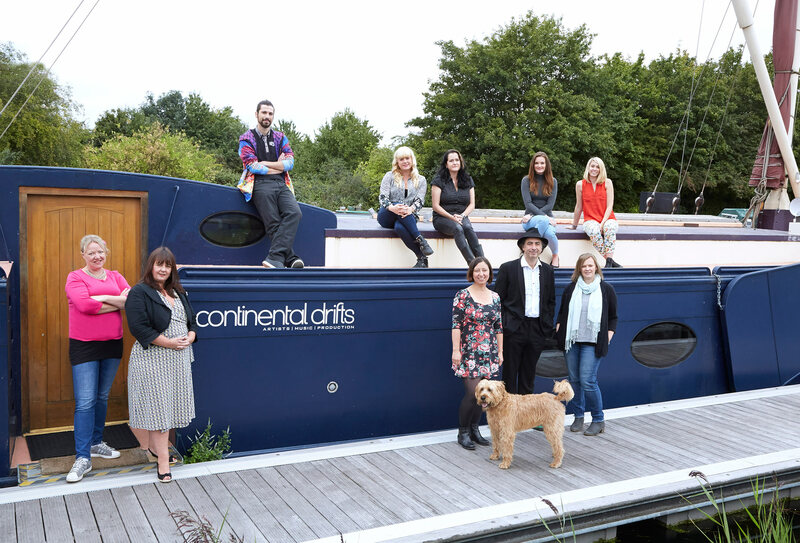 Continental Drifts are an Arts Council England, National Portfolio Organisation, for our innovative Global Local project and London Remixed Festival.